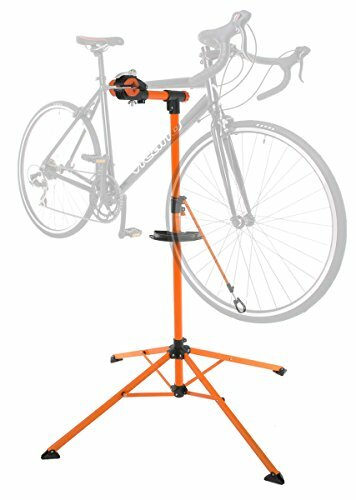 This portable bike repair stand allows you to comfortably work on your bike. If you're short on garage space, it quickly folds for storage. The 360 degree roatating head and adjustable clamp allow you to work on virtually any bike. Height adjustable from 45" to 72"